Yes premium packages are in the pre-sale! "Great seats in rows 6-10 in the lower level of the arena"
That's how the show should have been coded into the ticket systems, row 11 doesn't always mean it's the 11th row from the start of that section, although certainly usually it does. 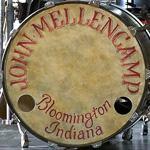 If you want to forward your order confirmation to help@mellencamp.com and note your experience we can pass it on to the Dainty Group's ticket people, not sure there would be anything they can do other than to fact find if there is a problem. John does not do any kind of a formal meet and greet at his shows. But if you run into him outside the concert don't be afraid and say hi. We do not know how much John will change up the setlist for the new leg, but it's a continuation of the Plain Spoken so it likely it will stay quite similar. John's oldest song performed at those shows was Jack & Diane. I'm new to the forum, but I've been along time fan back to the 70s! We are looking forward to getting a diamond package for the Rochester, NY show and I was wondering if there is any type of meet & greet? If so how do you get put in for a chance at this. Excited and looking forward to the show!! We are sorry to report that at this time John is not holding any formal meet & greets at his shows. He doesn't mind meeting fans out in the real world for a quick hello and hand shake by any means, so if you happen to run into him around town don't be afraid to say hello. Sometimes if you are lucky you can catch him as he exits the venues after a show. Below is our our presale normally works. We do not email out presale passwords. Rochester is a bit of an exception as their ticket system builds the password into the ticket link, so we will add the link to the tour grid just a few minutes before the presale, it will be the link listed in the pre-sale field/column. Here are the instructions after you have already registered for the website and found the TOUR page. The Stranahan Theater show in Toledo (10/21/16) shows the presale is 4/27/16 at 10A. However, Stranahan's ticket seller is showing the presale begins 4/28/16. Does anyone know which date is correct? We think the presale box will appear there at the right time, the tour promoter is checking on that. Thanks - I'll be looking for it.